Of course I’m massively generalising here and there are some men who place a great deal of focus on those killer undergarments. 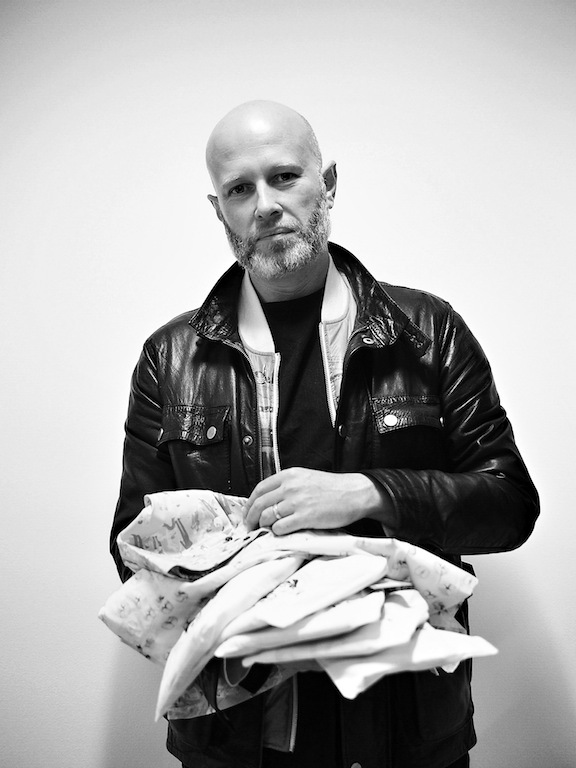 This morning, I scooted off (Olympus Pen in hand) to meet one such man (obviously once he was fully dressed) to find out more about Matt Cole’s recently launched, 50s-inspired Penny Dreadful Menswear boxers. Matt, creative director at Drum and self-confessed pop-culture geek, and his TV producing wife Fiona have created a tailored boxer short with a mission to ‘put some dignity and style back into men’s underwear’. Convinced that there is too much elastic employed in men’s underwear (unless you’re built like Beckham and have like a 2% body fat percentage) and that the squeezing in is not only uncomfortable but also does not look great, this husband/wife team have developed a stunning range in 6 patterns. why underwear? Men’s underwear always seems to be the punchline of a not very funny joke. I’ve grown to loathe the word ‘pants’ and our relationship with it as shorthand for something just a bit rubbish and embarrassing. That is exactly how men’s underwear typically presents itself. Go into any store and try to find the men’s underwear section. Inevitably they’re crammed into a corner somewhere rather than being upfront and celebrated as women’s lingerie rightfully is. For me this has never stacked up. what did you wear before? You know what? I don’t even remember. Probably M&S. What does Penny Dreadful underwear say about it wearer? I’d say we appeal to people who are quite discerning, who look for something a bit different, all that stuff. To be honest we’re looking for kindred spirits who like to look good but don’t think fashion is the be all and end all. They care about the quality of what they wear and will get involved in a brand if they have an interesting story and ethos. I’m hoping we’ll grab the attention of men who have an interest in Pop Culture in all its glory. How important is underwear comfort? Comfort is vital in underwear but each person’s definition of comfort is different. Personally I’m not a fan of Jockeys or Trunks as I feel I’m being strangled the whole time. We’re pretty realistic that we’re probably not going to convert those guys. The structure & fit of a man’s underwear is a very specific choice we make very early on and tend not to change. Having said that I was never completely satisfied with the fit and quality of boxers either. The elasticated waistline always felt like it was a cost cutting exercise rather than the best solution. should the boxers be visible when dressed? It’s entirely up to the wearer but there is a reason we put our badge on the outside. We hope people will be proud of their Penny Dreadful boxers. It’s not like we want men to be dropping their trousers all over the show but we think our badge peaking over the top of your jeans does look pretty cool. which fictional character might be a fan? The geek in me says Tony Stark. 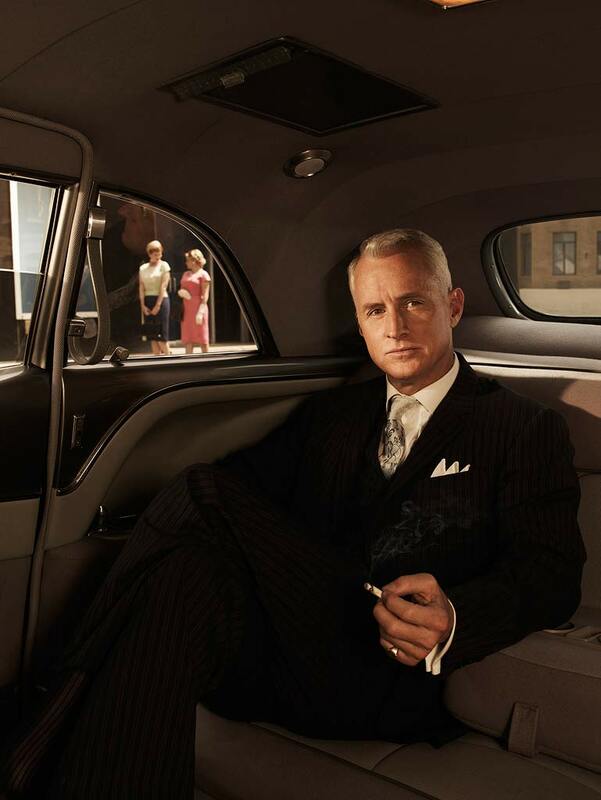 We’ve got to say Roger Sterling from Mad Men. Any one of The Peaky Blinders would probably sport a pair. I’m assuming time travel is an option here. when you’re not designing underwear, where might we find you? At the cinema or a gig probably. Somewhere in a darkened room watching someone demonstrating a talent I wish I had. What else should we expect from your line of menswear? Right now our ambition is to build a great line of essentials all referencing early to mid 20th century patterns but with modern upgrades for fit, material and prints. We’re thinking around Henleys at the moment. how important is your love of music, literature and film to your Penny Dreadful inspiration? Immeasurably important. I am a pop culture magpie and I think news of its death has been greatly exaggerated. I’m inspired daily by the new music, film & art that I’m exposed to. My only slight regret is that much of this new work I come across online. Not that I dislike the internet nor am I a nay-sayer in regards to the many and varied channels in which artists can now exposure their work. It’s undeniable though that with the loss of the physical format, books, vinyl etc, our emotional connection to pop culture has also become distracted. We’re constantly being presented with the next thing and the next thing before having the chance to really get our teeth stuck into the nugget of joy right in front of us. Penny Dreadful is going to be a pop culture brand, influenced by and re-mixing things we love and putting the results back out there in a physical form. We have plans to create the menswear equivalent of a Singles Club where rather than receiving a surprise 7″ in the post the package will contain a pair of Penny Dreadful boxers with a brand new print and access to content inspired by the featured illustration. We’re building plans for these things right now at the ground floor of the business rather than trying to crowbar in some vague affiliation with art, film or music later. where does the 50s style fit into the context of mens’ fashion today? Really it’s not about being specifically retro. I guess what we were interested in was digging back into a time where fit and style wasn’t dictated by technology but was more about craft. From the fabric we use down to the digital printing and the cut – these are very much modern boxer shorts. tell us more about the risqué patterns. Again we didn’t make a conscious decision to choose risque patterns. We’d investigated a whole bunch of options including Victorian Pugilists but they seemed a little obvious. I came across Sarah Dvojack’s illustrations online and quite simply fell in love with them. She really is a heartbreakingly talented artist who manages to instil these beautiful, delicate characters with a real sexiness that appeals to men & women. Each image teases a bigger story that sets the imagination racing and they’re laced with a wit that stops them from being crass. does your work at Drum only fuel your desire to create your own brand? Absolutely. Like any working creative I have a bottom draw of ideas I want to experiment with and build into the fabric of Penny Dreadful from the beginning. which 3 brands would you pick to illustrate yourself? OTHER on Kingly Street. I love the way they curate their line from a selection of independent designers that they love and still offer a cohesive brand experience. There’s a bunch of fellas online called Last Exit To Nowhere. They create t-shirts inspired by movies and are a geek’s dream. What’s really interesting is how they behave in social media. LETN barely mention the product but simply engage their followers in conversation about film, actively inviting you to disagree with them and express your own opinion. I feel like I know them personally. Finally, I’ve just heard about this service called “Vinyl Me Please“. I can think of very little more exciting than a panel of music experts hand picking and sending me a record every month along with a piece of art and a cocktail recipe “wrapped up like a birthday present” as an antidote to the tsunami of indiscriminate choice presented by services like Spotify. I do believe that curation is the future if we’re to make pop culture feel special again. a book which has changed your life? Quiet: The Power Of Introverts In A World That Won’t Stop Talking by Susan Cain. Head On by Julian Cope. Jitterbug Perfume by Tom Robbins. tell us a secret about mens underwear. I was told by a factory owner at Premier Vision that most boxer shorts are made from left-over shirting essentially swept up off the factory floor. We have to end this indignity for men’s boxer shorts! Oh and the only person who looks like David Beckham in Calvin Kleins is David Beckham. 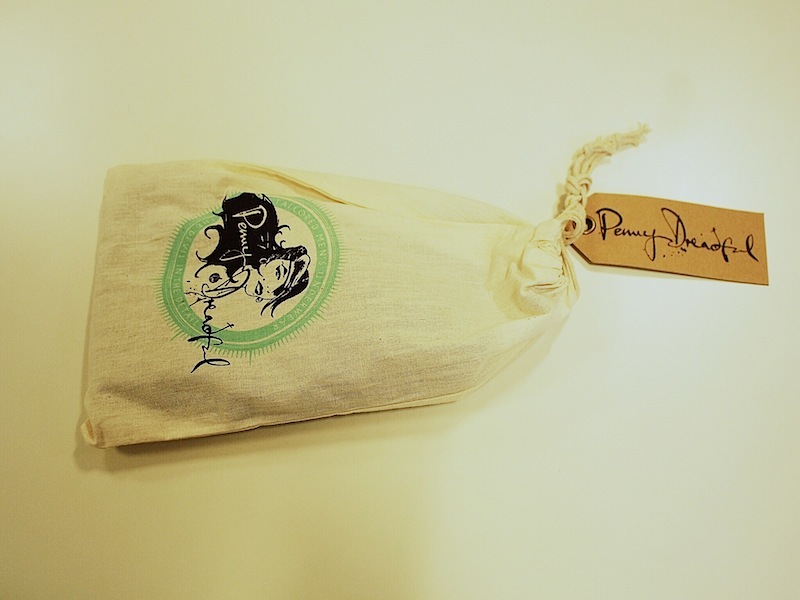 Penny Dreadful Menswear (£28-£35) is available online and at Spitafields Market, E1 on 7th/13th/14th Feb.